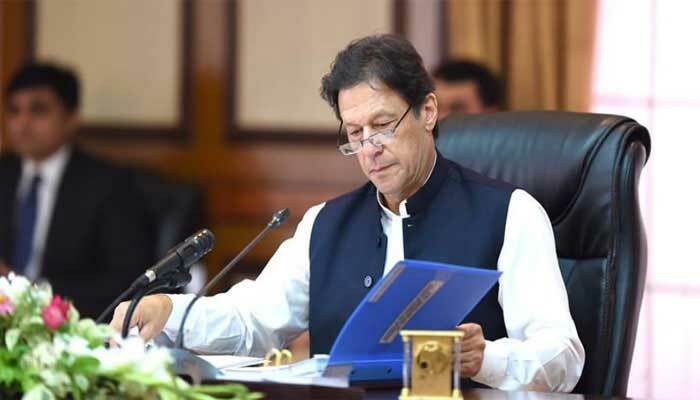 ISLAMBABAD: Prime Minister Imran Khan has removed Managing Directors of Sui Northern Gas Pipelines Ltd. (SNGPL) and Sui Southern Gas Company (SSGC) after receiving the report of the fact-finding committee on gas crisis that hit the country the most on December 12 for 24 hours. Industrial activities both in Sindh and Punjab came to a standstill on December 12 on account of gas crisis. The prime minister had convened the meeting on December 12 and ordered the authorities concerned to probe and fix the responsibilities for the gas crisis. The Petroleum Division onthe same day had constituted a four-member fact-finding committee headed by Ogra Chairperson Uzma Adil. Qazi Saleem Siddiqui, DG(PC), Shahid Yousaf DG(Gas) and Imran Ahmad, DG(LG) were its members. Secretary petroleum submitted the report to the PM with his own recommendations some days back, holding the managing directors of gas companies responsible for the gas crisis. The prime minister here on Tuesday took the action and removed SNGPL MD Amjad Latif and SSGC MD Muhammad Amin Rajput from their posts with immediate effect, top officials privy to the development told The News. However, in the meeting of the Cabinet Committee on Energy, headed by Prime Minister Imran Khan here on Tuesday, the government decided in principle not to extend the export subsidy to the refineries located in coastal areas for export of furnace oil, an official who was part of the meeting told The News. However, the mid and up country refineries such as Parco and Attock refinery will be treated differently as they will have to pay on-land freight up to Karachi-port city while exporting their furnace oil. The committee has been constituted to exactly know as to whether refineries will face loss in profit while exporting the furnace oil. The government has already notified the ban on the import of furnace oil for power generation. However, for the summer peak demand, refineries have been asked to go into agreement with furnace oil-run powerhouses for sale of furnace oil. The official said the Petroleum Division has come in the meeting with presentation on working of refineries on how to deal with furnace oil issue. In the last meeting, the prime minister had asked the refineries should come up with the plan for the furnace oil export. The official said a series of meetings with refineries have been held in the petroleum division and more to be held till the finalization of the business plan of refineries. The official said that Byco refinery, which is located in coastal area, has managed to get the export order of furnace oil and it will start exporting the product by end January. He said the Pakistan Refinery Limited and National Refinery Limited are also Pakistan’s coastal refineries. The official said refineries have been getting the deem duty since long, but some of the refineries have done some work towards desulphurization, and goal of complete isomerisation. However, getting the capability to change the furnace oil into refined product of diesel and other items is still a distant dream. The meeting headed by PM Imran Khan also touched the issue of terming the RLNG a gas product as at present RLNG is being treated as petroleum product. The government factually wants to introduce average gas price mechanism in the country by blending the local and imported RLNG. Right now, RLNG price is ring fenced. When it was imported by the PML-N government, at that time the country was facing a massive gas crisis. The PML-N government was in haste to import RLNG and when the issue of RLNG pricing emerged, it was known that Ogra Ordinance did not have any definition of RLNG. For gas price determination, a formal hearing is held in which all stakeholders participated and challenged the petitions of gas companies. Since the Ogra Ordinance, there was no mention of RLNG definition. Now the government wants to declare RLNG a gas product for which the Ogra Ordinance needs amendment. Mentioning the Unaccounted for Gas (UFG) in the gas network, the official said this item has been deferred for discussion as prime minister had to go for other official engagement. However it was told that annually the gas of Rs50 billion gets stolen. However, the Power Division told the meeting that it has reduced one percent losses of electricity in the system and filed 16,000 FIRs on the theft of electricity. The Power Division also briefed the premier on economic merit order under which the power houses are run. The Power Division also briefed on must-run power houses. Likewise, the Petroleum Division also told the meeting that over 5,000 gas connections have been disconnected for using gas compressors. In the meeting, the Power Division has placed its demand of RLNG of over 1bcf for the power sector for the months of May, June and July. The prime minister asked for more steps to end the menace of electricity theft.